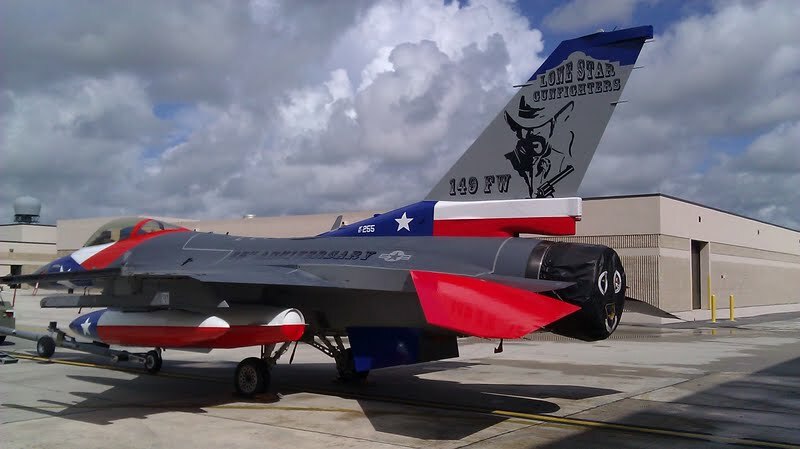 THIS is why you “Don’t Mess With Texas”…..: Happy Anniversary to the USAF’s 149th Fighter Wing! 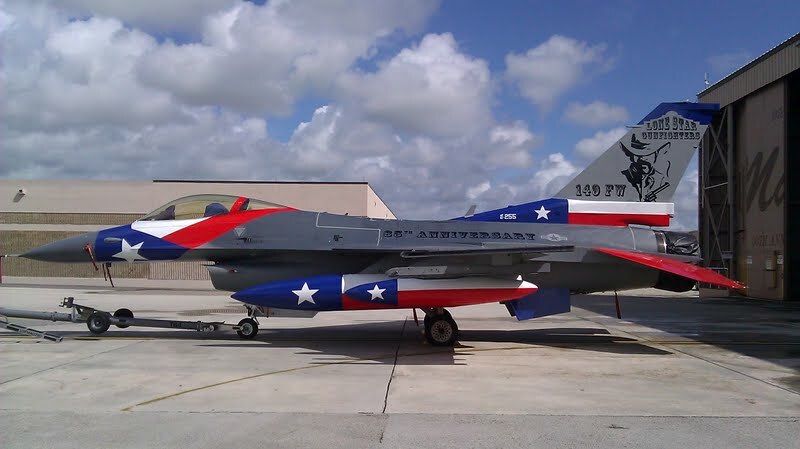 This F-16 was painted to celebrate the 149th FW 65th anniversary. 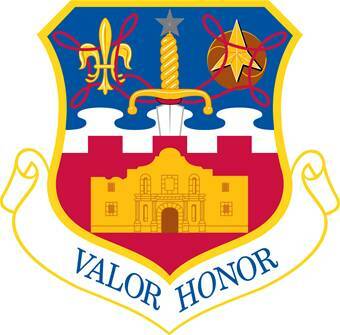 The United States Air Force’s 149th Fighter Wing is a Texas Air National Guard unit located at Kelly Field Annex, Lackland AFB, in San Antonio, Texas. The 149th Fighter Wing is an F-16 flying training unit that includes a support group with a worldwide mobility commitment. 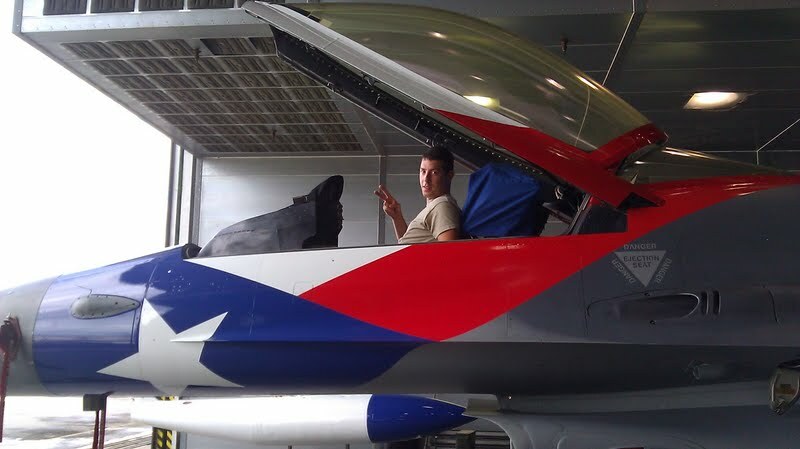 The cornerstone of the 149th’s flying mission is the 182d Fighter Squadron, whose role is to take pilots – either experienced aircrew or recent graduates from USAF undergraduate pilot training – and qualify them to fly and employ the F-16. 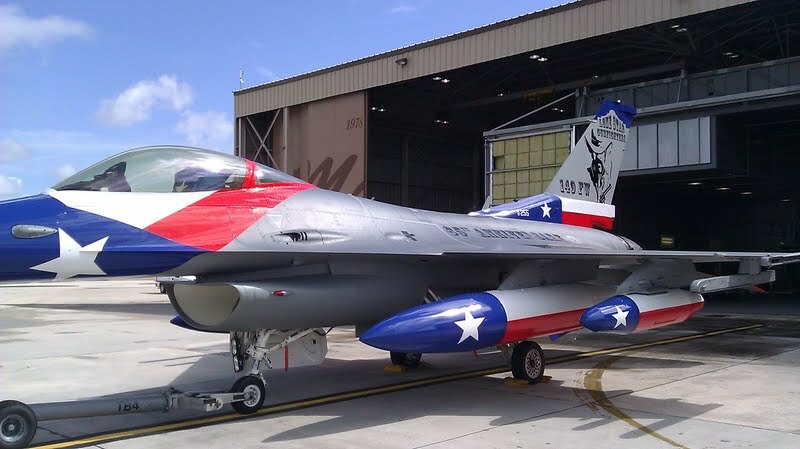 Today’s 149th Fighter Wing of the Texas Air National Guard was formed on 1 July 1960, but its origins go back to June 1943. At that time, the 396th Fighter Squadron was activated and served honorably in the European Theater during World War II. The 396th earned the Belgian Fourragere, was twice awarded the Belgian Croiz de Guerre, and was recognized with the Distinguished Unit Citation for action over Mons, France on 3 September 1944. The 182nd began flying the F-51 “Mustang” in 1947 and accepted its first jet, the F-84E “Thunderjet” when the squadron was called to active duty during the Korean War. The squadron, as an element of the 136th Fighter Wing, was the first Air National Guard squadron to see combat during that war; the first Air National Guard unit to shoot down a MiG-15; and the first to successfully demonstrate the applicability of aerial refueling during combat. The distinctive insignia of the “Alamo Group” reflects the unit’s proud history. The blue field with the white clouds symbolizes the sky, the primary theater of Air Force operations. The red embattled base bearing a replica of the Alamo is a reference to the group’s location and proud Texas military heritage. 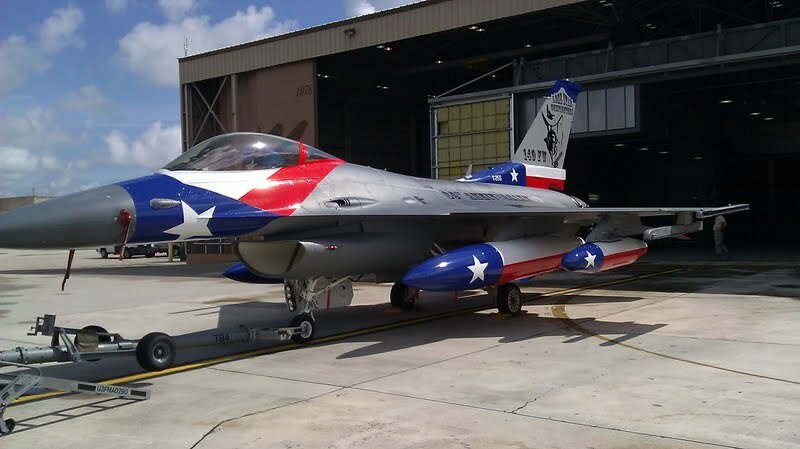 The dagger with the star, symbol of Texas, is a reminder that the group was the first Air National Guard unit to fly the F-102 “Delta Dagger” aircraft. The honors of the 396th Fighter Squadron are commemorated in the fleur-de-lis denoting World War II Distinguished Unit Citation for action in France, the Taeguk with the caltrap denoting service in the Korean War, and the rope in the colors of the Belgian Fourragere denoting the unit’s World War II foreign citations. 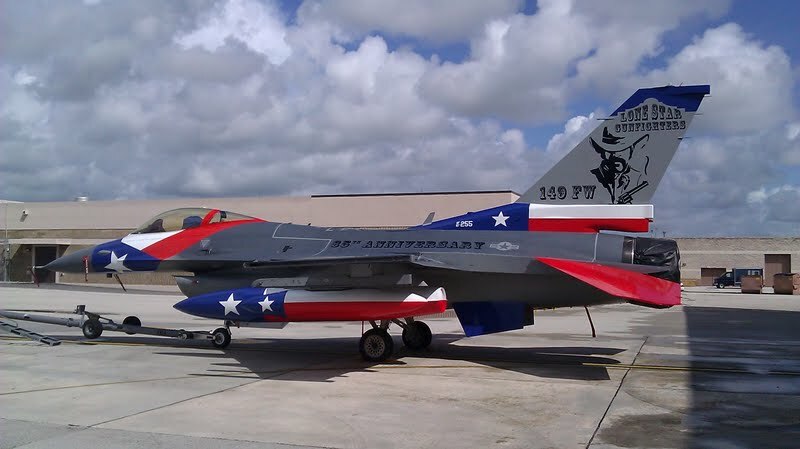 Happy Anniversary to the 149th Fighter Wing, and thank you for keeping our nation safe -the folks in Fort Worth, TX (where the plane was built) hope you enjoy the “sweet ride”! 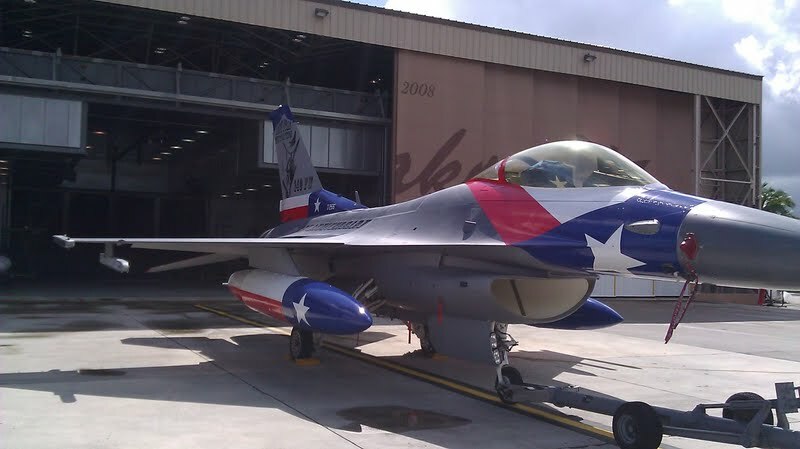 This entry was posted in Annual Posts, Texas, Uncategorized and tagged Anniversary, F-16, Fighter Wing, Texas 149th, USAF. Bookmark the permalink.